WellyLUG have retired their regular meeting schedule and combined forces with other local tech meetups to create WOSSAT — Wellington Open Source Show And Tell. Please join us there to satisfy your monthly tech meetup needs. Many thanks to everyone who presented and participated throughout the group's. It was a great ride! 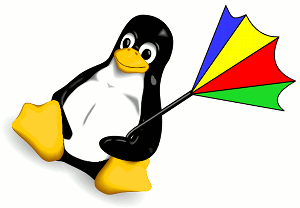 WellyLUG is a group that meets monthly to discuss topics related to linux and the wider open source community. There is no membership or registration process – if you're interested, just turn up. If you're looking for linux help between meetings, use the mailing list or IRC. Meetings run on the third monday of every month, 6pm, level 3. Front doors lock at 6pm, so aim to arrive on time. Someone else - contact Hugh to book a slot. Get on the mailing list or contact Hugh if you'd like to volunteer to speak or suggest a talk topic for a future meeting. WellyLUG meets on the third Monday of each month. If you would like to volunteer to speak or would like to suggest another topic, speak up on the mailing list or contact me (see below). Visit the list information page to subscribe, or to view the list archives. The 'official' IRC channel for WellyLUG is #wellylug on irc.freenode.org.